Alan Lombardi admits he has a weakness for Toyota vehicles. So when his niece Sarah asked her Uncle Alan and Aunt Cheryl to accompany her to East Coast Toyota in search of a replacement for her aging Corolla, he couldn’t resist. Sarah became the proud owner of a 2015 Corolla SE. Cheryl replaced her 2012 Camry XLE with a 2015 model with a Parisian Night Pearl exterior and almond interior. And Alan changed things up and took possession of a 2015 RAV4 XLE, his first crossover vehicle. The higher ride height and extra cargo space reminded him of the old family van. When the caravan made the journey home, they found a 2015 Sienna waiting in the driveway-owned by Vincent Lombardi. That’s Alan and Cheryl’s son, not the Green Bay Packers’ legendary coach. Gina’s 2015 RAV4, same as Alan’s except for the color, was also there-as was their grandson Nicolas’ 2010 Corolla. Once again, Alan couldn’t resist. The Lombardi family’s love affair with Toyota dates back to 2009, when Alan and Cheryl were still driving the van they once used to transport their brood to Florida on vacations. Now that their nest is at least partially empty, Cheryl wanted to swap the utility of the van for the comfort of a sedan, specifically a Camry. 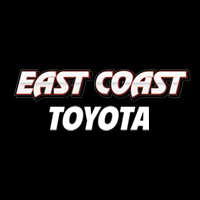 That led them to East Coast Toyota, and they’ve been returning ever since. As far as Brown’s concerned, those feelings are mutual. And they’re far from exclusive to the Lombardi family. 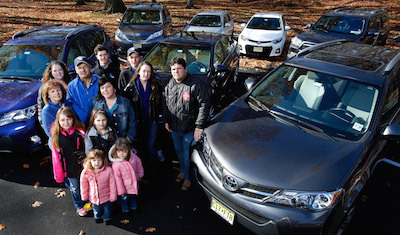 When Alan and Cheryl Lombardi bought their first Toyota in 2009, little did they know that virtually every other member of their family would follow. Cheryl and Alan Lombardi (on the left) are surrounded by their extended family, not to mention their extensive collection of Toyota vehicles. 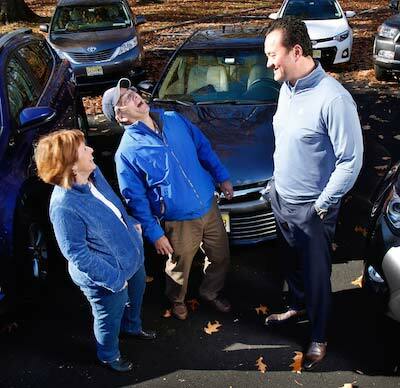 Cheryl and Alan Lombardi (left) share a laugh with East Coast Toyota General Manager Jeff Brown. The Lombardi family not only buys all of its vehicles at the Wood Ridge, N.J., dealership, it has them serviced there, too. 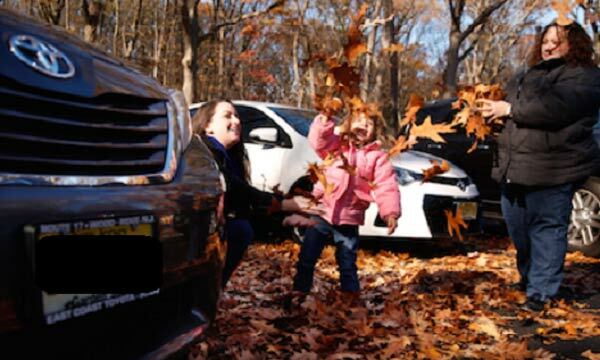 Lombardi family enjoy a fun moment amid the leaves near their home in Paramus, N.J.